DeepVeer Are Making It Official At Lake Como & We Can't Keep Calm! What do we say about Ranveer and Deepika that we haven't already? 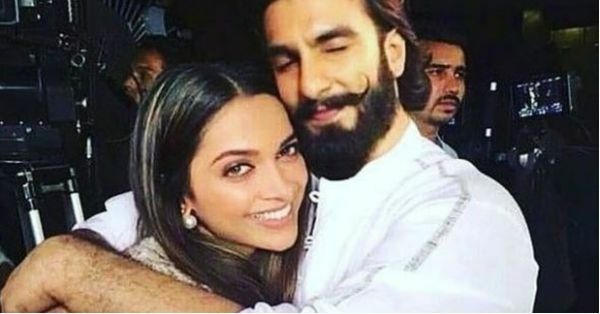 We love this Bajirao-Mastani pair for their on-screen chemistry but even more so for their ernest love and friendship off screen. The two have been dating for a while now and time and again we've understood what real love is looking at the two of them. There has been a lot of speculation as to when Khilji will finally tie the knot with his Rani Padmini, but worry not, we've got all the deets for you. According to sources, Ranveer and Deepika are finally going to become man and wife on the 10th of November this year. OMG, these four months need to fly past, cause TBH we can't wait. The couple is also going along the Virushka footsteps and are having a destination wedding in Europe. No guys, it's not Tuscany! The couple is all set to get married in Lake Como, Lombardy in Italy and by gosh, is that going to be all things gorgeous! Reportedly, DeepVeer are to exchange their vows in a plush area at the foothills of the Alps. The area is known for it's majestic beauty and stunning atmosphere. The locales and the pristine shorelines are what attracted the couple to the destination in the first place.